Specially and newly launched to celebrate the CHB 3rd Anniversary, the project comprises of two parts. 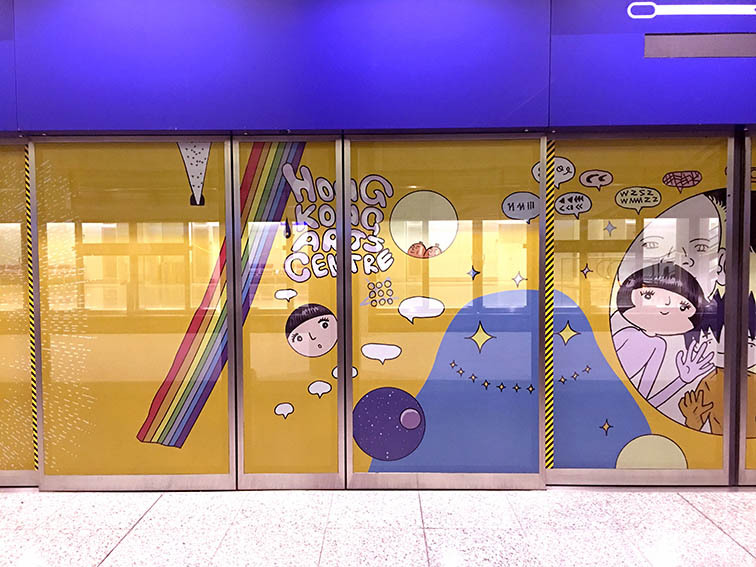 For the first part, two local comics artists – Li Chi-tak and Kongkee – are invited to decorate the lift façades in the arrival hall of the Hong Kong International Airport, as well as the platform screen doors of the Automated People Mover system from 6th July. 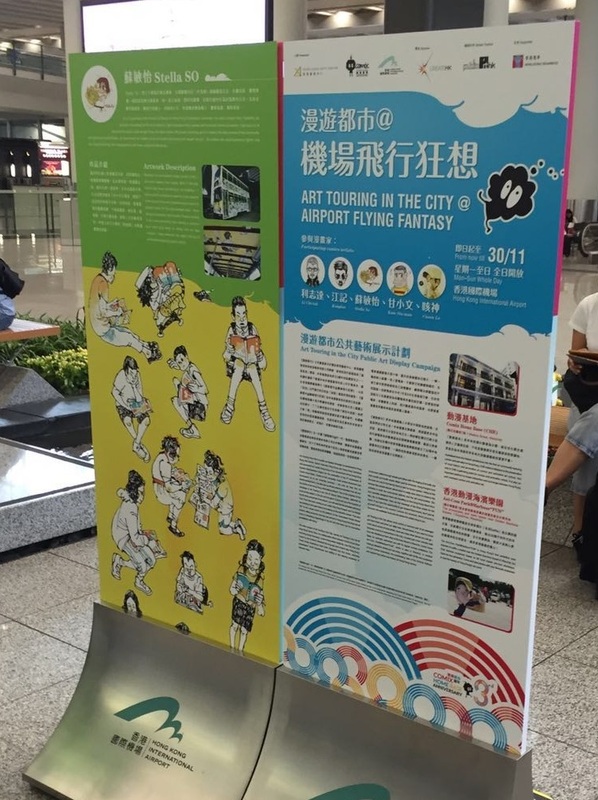 The second part which starts from 27 Aug, is an exhibition that features the creative process of all five participating local artists (Li Chi-tak, Kongkee, Stella So, Kam Siu-man, and Cuson Lo) in this campaign at the South and North wing of the arrival hall, together with information of Comix Home Base and the Ani-Com Park @Harbour “Fun”, both situated in Wan Chai. Li Chi-tak published Wisely series in 1984 and rocketed to fame with his self-published Tong Men Shao Nian in 1987. 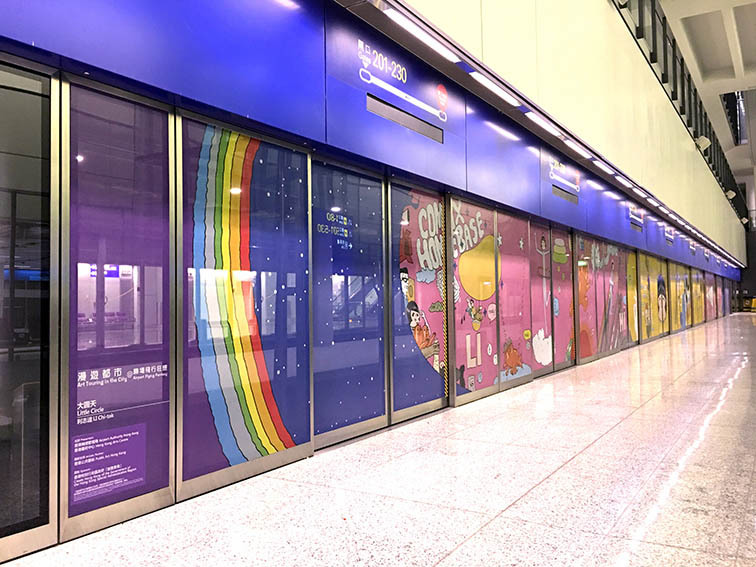 Li is widely acclaimed in Japan and Europe for his highly distinctive style and is regarded as the most prominent Hong Kong comics artist on the Japanese scene. Through Hong Kong Arts Centre, he had his solo exhibition presented at Angoulême International Comics Festival in France in January 2016. Kongkee has published numerous solo works including Rice Gas and co-authored Hijacking with Chihoi. 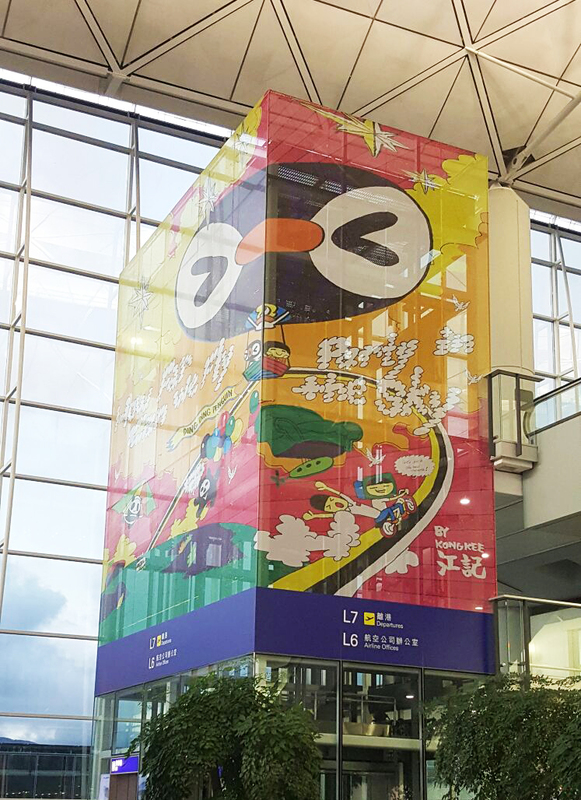 His animated short film Howl the Mobile Fatty received the Best Digital Entertainment (Animation) Silver Award at Hong Kong ICT Awards 2013. 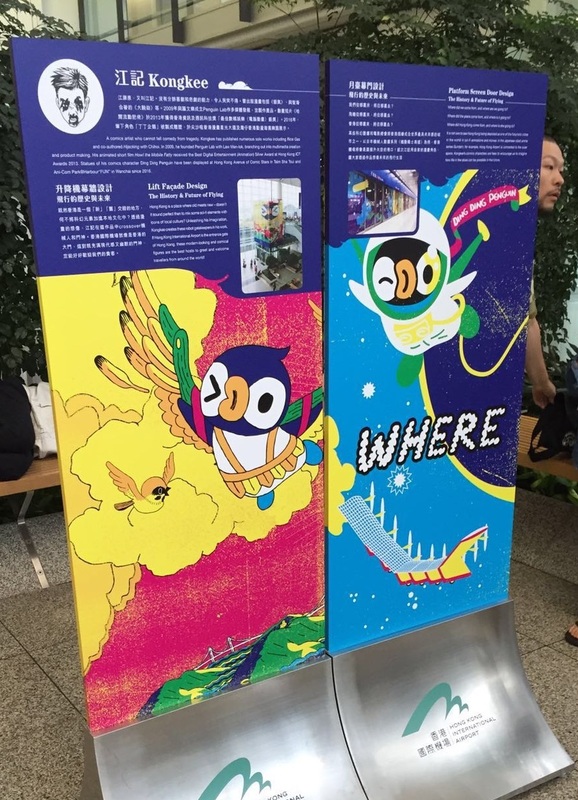 Statues of his comics character Ding Ding Penguin have been displayed at Hong Kong Avenue of Comic Stars in Tsim Sha Tsui and Ani-Com [email protected] “FUN” in Wan Chai since 2016. Stella So is a graduate of the School of Design of Hong Kong Polytechnic University. Her debut project Very Fantastic, an animation illustrating the life in old districts, has impressed many viewers and received numerous awards. Claiming it is all because she cannot draw straight lines, she often draws with curves, recording and re-creating the daily scenes of the community with paints and a sketchbook. So never loses her childlike sense of wonder and would call herself “old girl”. She wishes she could become a fighter, one who saves everything from disappearance with every single line she draws. 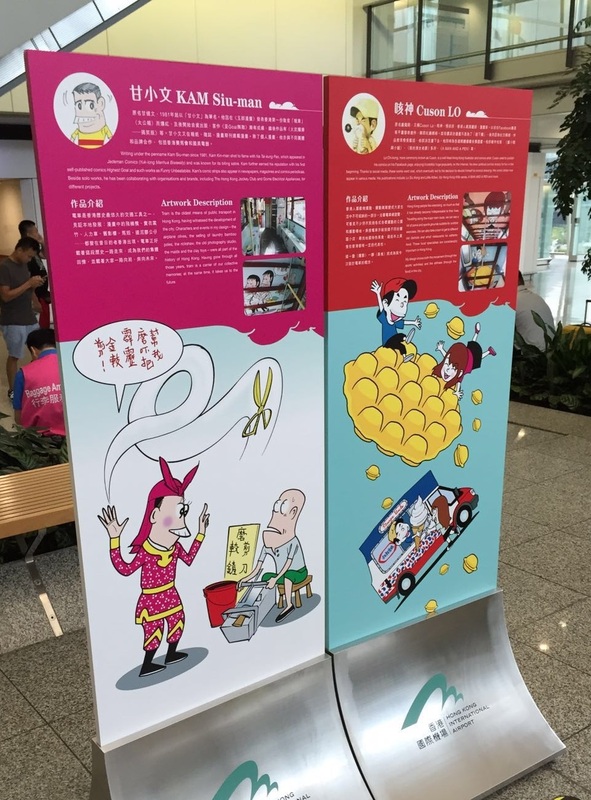 KAM Siu-man Writing under the penname Kam Siu-man since 1981, Kam Kin-man shot to fame with his Tai-kung Pao, which appeared in Jademan Comics (Yuk-long Manhua Biweekly) and was known for its biting satire. Kam further earned his reputation with his first self-published comics Highest Goal and such works as Funny Unbeatables. Kam’s comic strips also appear in newspapers, magazines and comics periodicals. 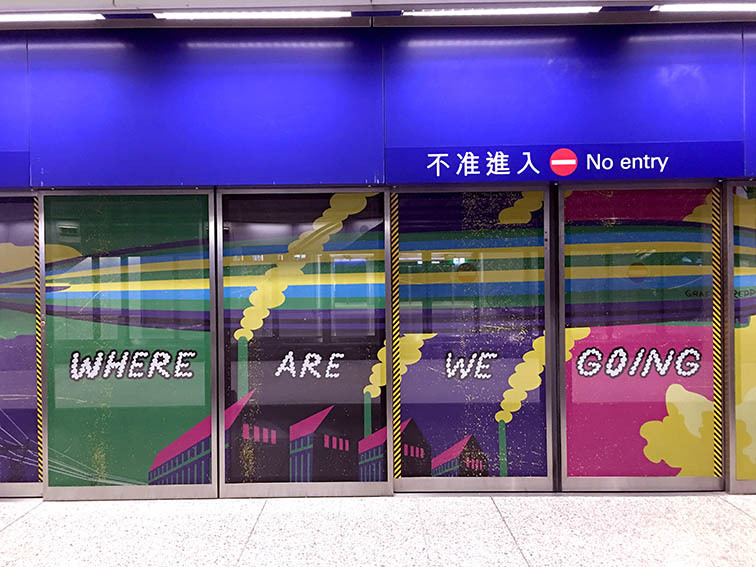 Lo Chi-kong, more commonly known as Cuson, is a well-liked Hong Kong illustrator and comics artist. Cuson used to publish his comics on his Facebook page, enjoying incredibly huge popularity on the Internet. He drew political comics simply for fun in the beginning. His comic strips now appear in various media. His publications include: Lo Siu Kong and Little Kitten, My Hong Kong Wife series, A MAN AND A PEN and more.